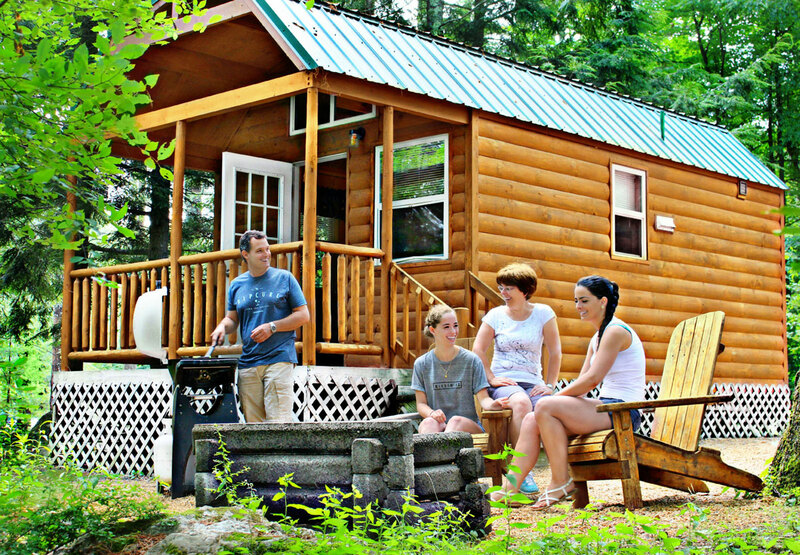 From Rustic Cabins (for that back-to-nature experience), to Premium Cabins (equipped with the comforts of home – including a full kitchen, bathroom, heat/air conditioning, electric fireplace, and flat screen TV with cable) and RV Rentals, you’re sure to find a rental that’s perfect for your family! Great for back-to-nature camping while giving you a little more security and privacy than a tent. 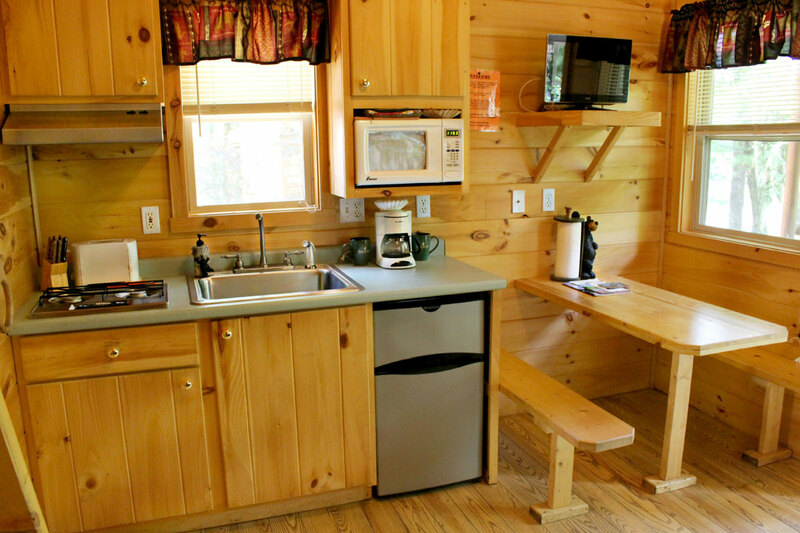 Our Rustic Cabins have electricity, outdoor water hook-up, picnic table, fire-pit and vehicle parking. Each unit includes a mini-refrigerator, small table and chairs and outdoor charcoal grill. 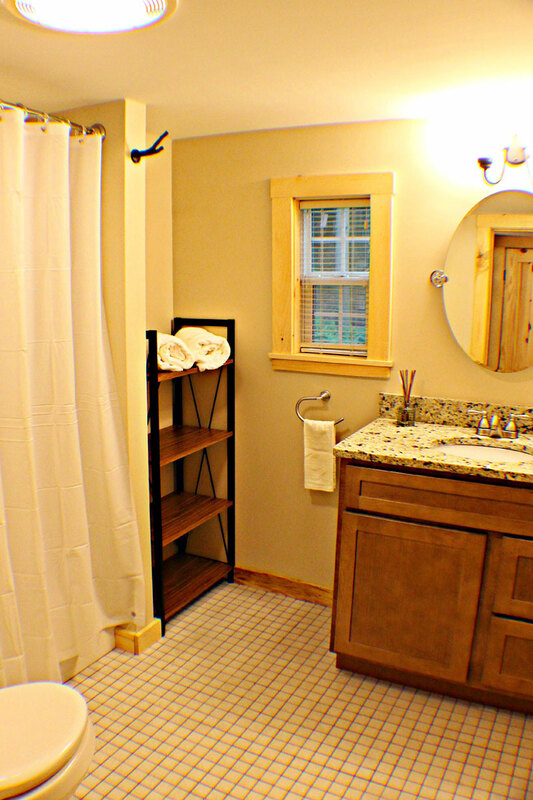 All rustic cabins have easy access to restrooms and showers. 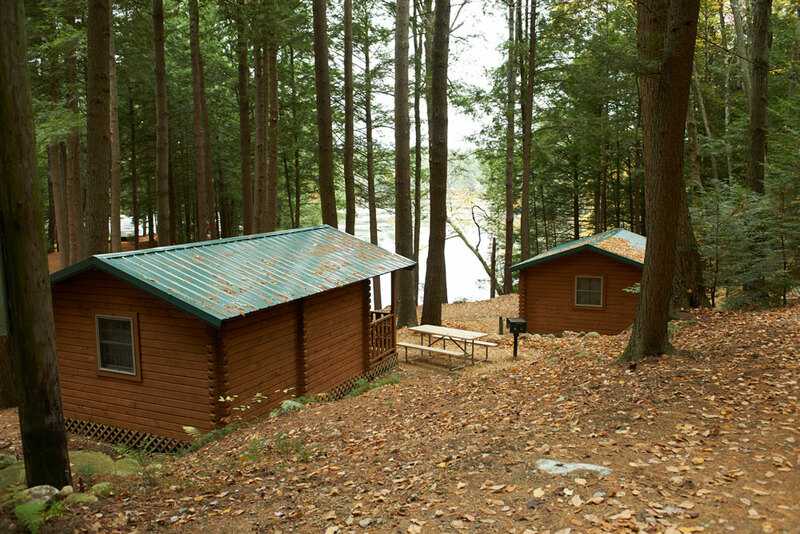 Choose from the Hemlock Village, which is accessible by paved roads and overlooks picturesque lake coves filled with wildlife or the Slopeside Village, located on the secluded wilderness tenting hill, overlooking the center of the park. Please note – Wilderness area is comprised of gravel roads which are not suitable for biking. 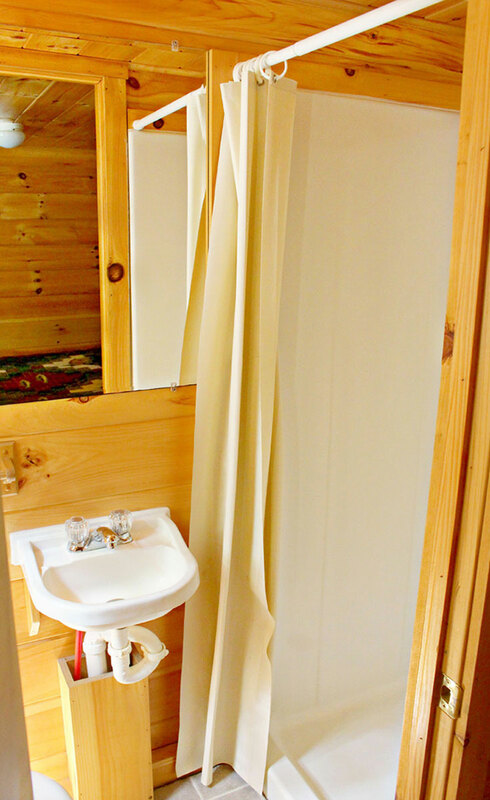 Rustic Cabins are rented with a 3-night minimum during July and August (subject to general reservation open dates), but can be rented for a 2-night minimum stay during our Spring and Fall seasons. Holiday rates/minimum stays apply. All Rustic Cabins are pet-friendly. 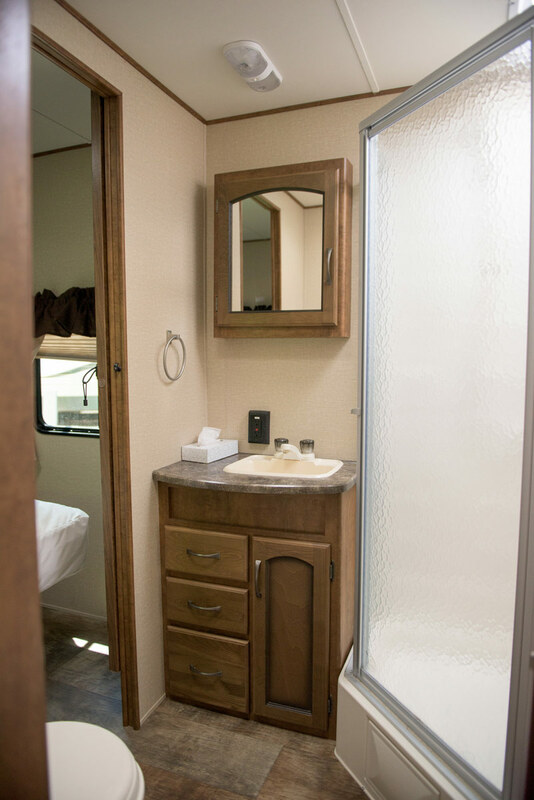 For campers looking for accommodations with a bathroom and kitchenette, the Full Service Cabins are the perfect choice! These units have a master bedroom (double bed), carpeted sleeping loft for children (with stationary ladder), bathroom (sink, toilet & stand-up shower), heat/air-conditioning and a flat screen TV with cable. 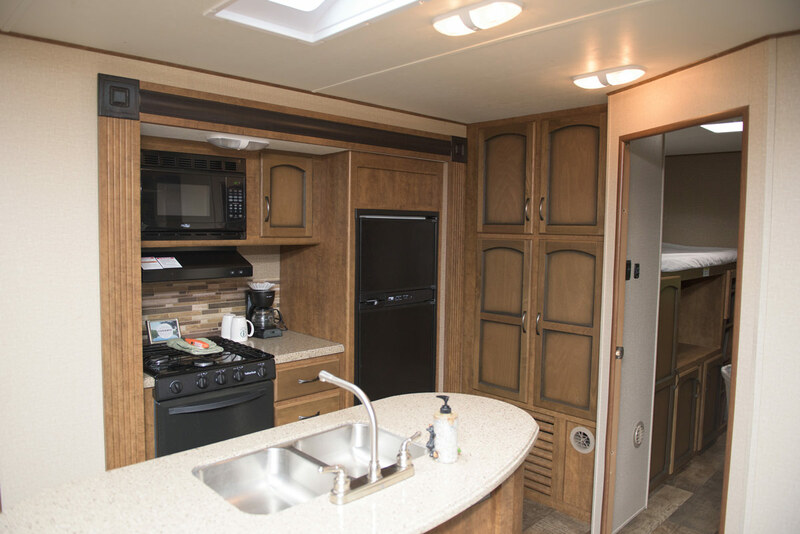 The kitchenette comes equipped with a two-burner cook-top, dorm-sized fridge, microwave, toaster oven, 4-cup coffee maker, cooking utensils, dishes and a basic set of pots and pans. Outside, each site is equipped with a propane gas grill, picnic table, adirondack chairs, fireplace and vehicle parking. Full Service Cabins are rented by the week during July and August (Friday to Friday or Sunday to Sunday), but can be rented for a 2-night minimum stay during our Spring and Fall seasons. Holiday rates/minimum stays apply. Designated units are pet-friendly. 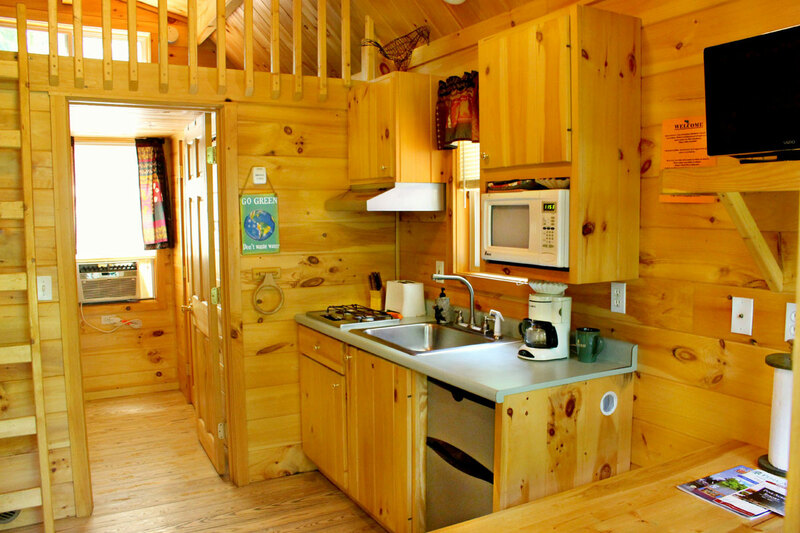 For campers looking to enjoy the comforts of home, the Premium Cabins are the perfect choice! 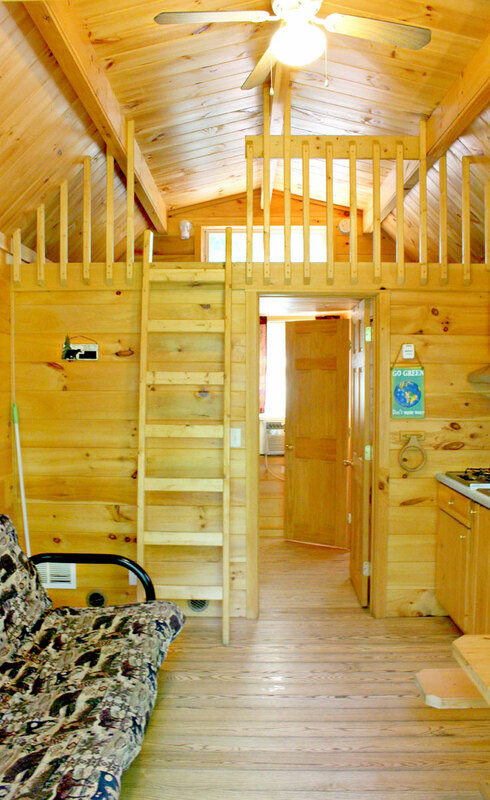 We have a wide variety of premium cabins and floor plans. Each unit features a master bedroom (queen-sized bed), bathroom, heat/air-conditioning, full kitchen, and a flat-screen TV with cable. Choices include one-bedroom units with a carpeted sleeping loft for children, a two-bedroom unit that has a second bedroom with one set of twin bunks (no loft) or our one-bedroom (no loft) handicap-friendly unit with wheelchair accessible ramp. We will make sure to match your family to an appropriate unit. The kitchen comes equipped with a stove, full-sized fridge/freezer, microwave, toaster oven, 4-cup coffee maker, cooking utensils, dishes and a basic set of pots and pans. Outside, each site is equipped with a propane gas grill, picnic table, adirondack chairs, fireplace and vehicle parking. All units feature a deck or paver patio. Select units also have a screened-in porch. 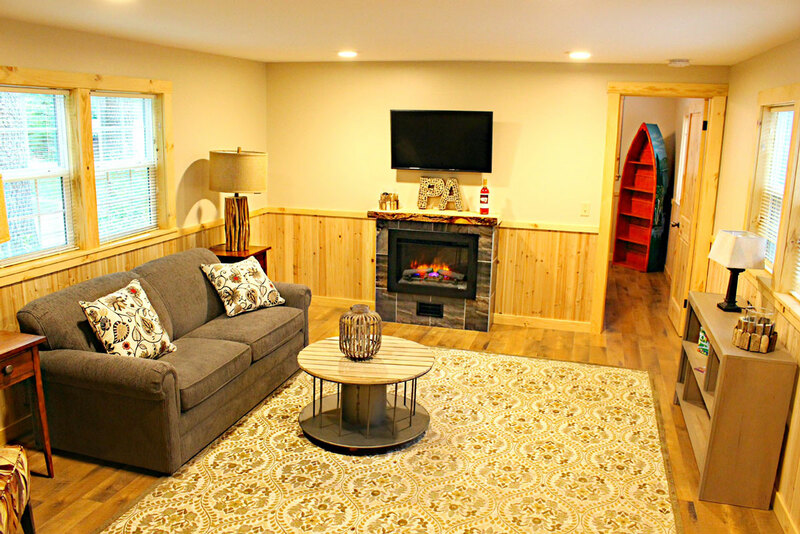 Premium Cabins are rented by the week during July and August (Friday to Friday or Sunday to Sunday), but can be rented for a 2-night minimum stay during our Spring and Fall seasons. Holiday rates/minimum stays apply. Designated units are pet-friendly. 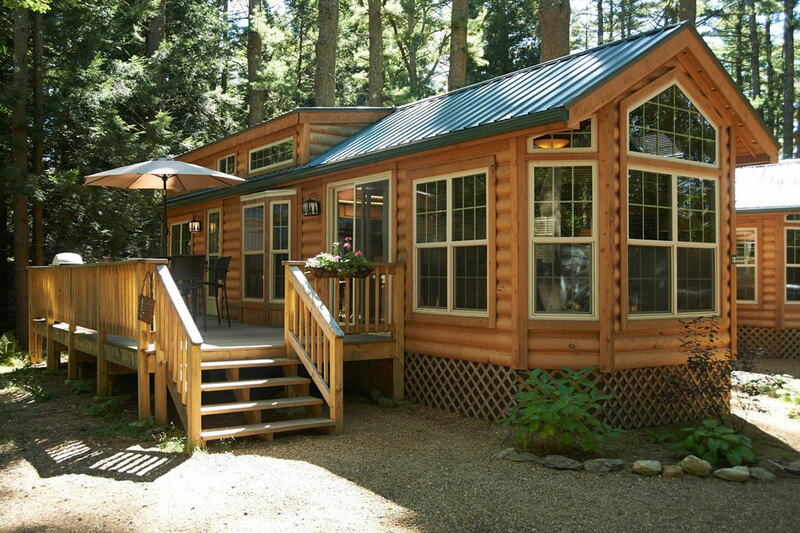 Enjoy the comforts of our premium cabin, located lakeside. Each unit features a beautiful view of Lake Dean and direct dock access. 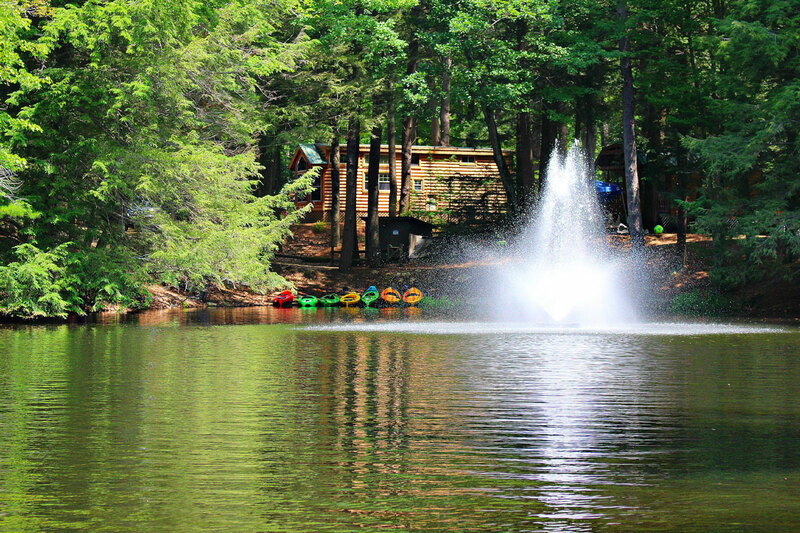 Premium Waterfront Cabins are rented by the week during July and August (Sunday to Sunday), but can be rented for a 2-night minimum stay during our Spring and Fall seasons. Holiday rates/minimum stays apply. Designated units are pet-friendly. 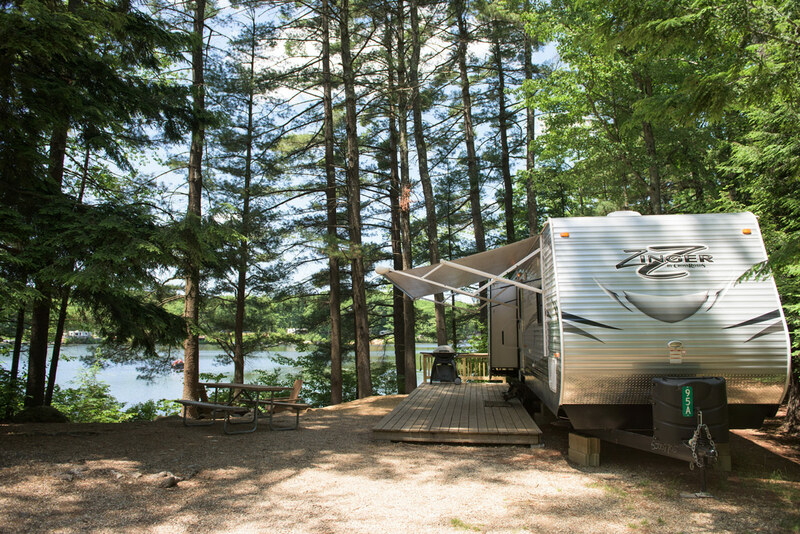 Rent an RV, setup on a spacious wooded campsite overlooking the lake, with direct dock access. 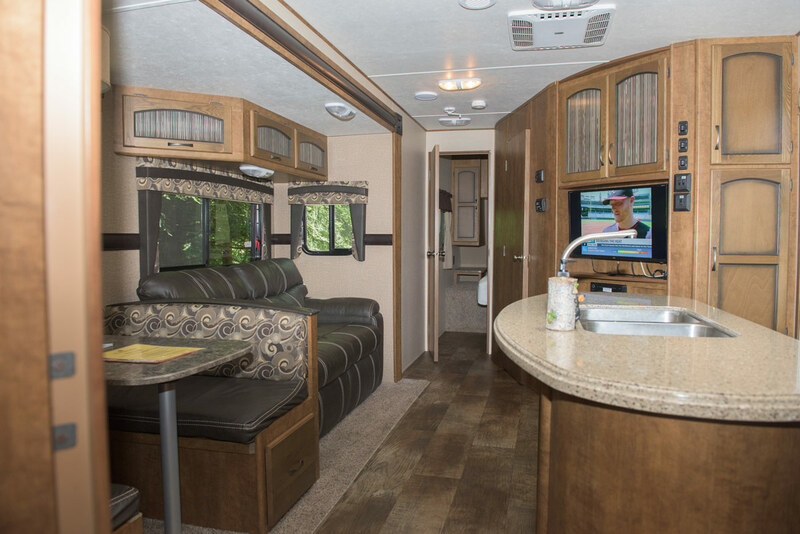 If you are thinking of buying an RV, you can now try camping before making that investment. 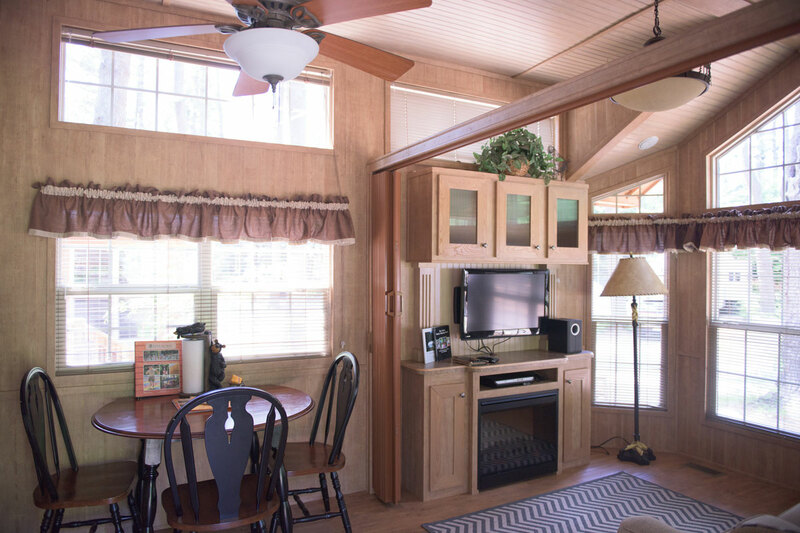 These units are two bedroom (queen sized bed and bunk house with three twin beds) and offer an RV bathroom, heat/air-conditioning and a flat screen TV with cable. 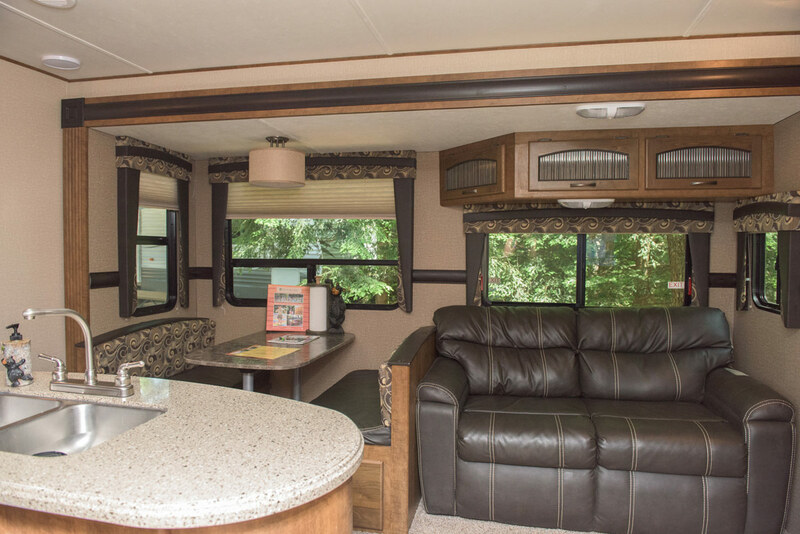 The kitchen comes equipped with an RV stove, RV fridge/freezer, microwave, toaster oven, 4-cup coffee maker, cooking utensils, dishes, and a basic set of pots and pans. Outside, each site is equipped with a propane gas grill, picnic table, adirondack chairs, fireplace and vehicle parking. 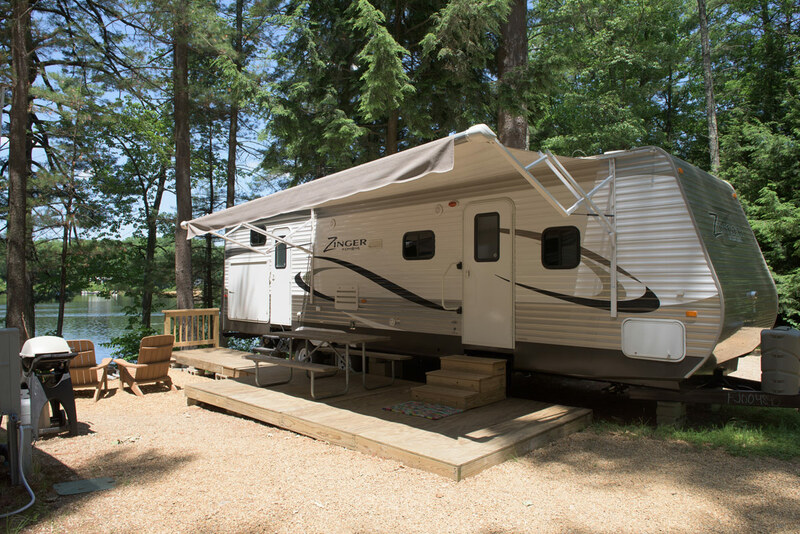 RV Rentals are rented by the week during July and August (Friday to Friday), but can be rented for a 2-night minimum stay during our Spring and Fall seasons. Holiday rates/minimum stays apply. RV Rentals are NOT pet-friendly. 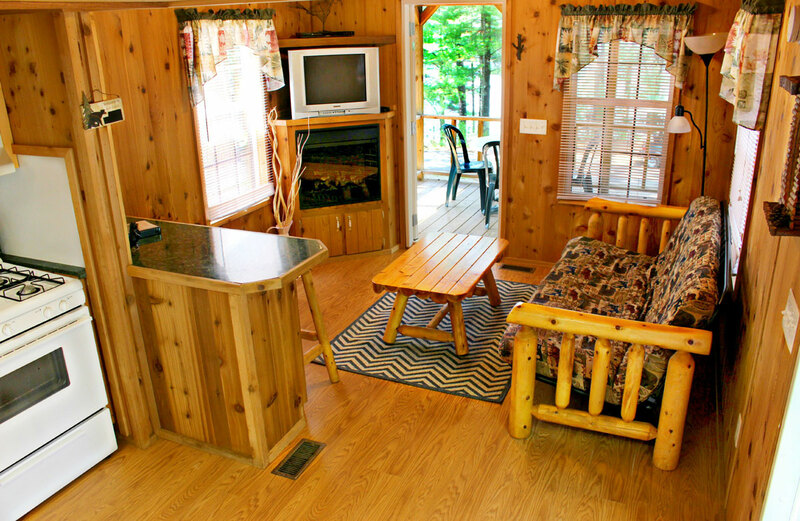 Our Premium Cabin Suites are the largest cabins that we have on property. Each unit features a master bedroom (queen-sized bed) and second bedroom (2 twin-sized beds), bathroom, heat/air-conditioning, full kitchen, and a flat-screen TV with cable. 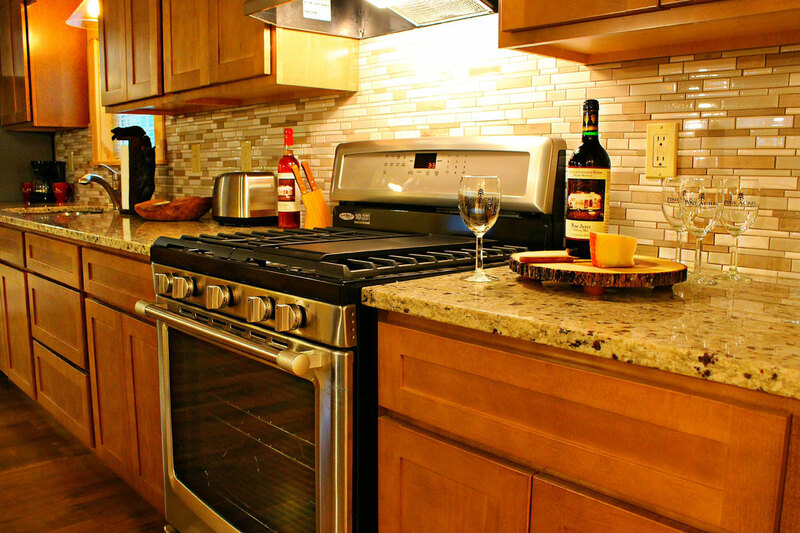 The kitchen comes equipped with a stove, full-sized fridge/freezer, dishwasher, microwave, toaster oven, 4-cup coffee maker, cooking utensils, dishes and a basic set of pots and pans. Outside, each site is equipped with a propane gas grill, patio set, adirondack chairs, fireplace and vehicle parking. All units feature a deck. 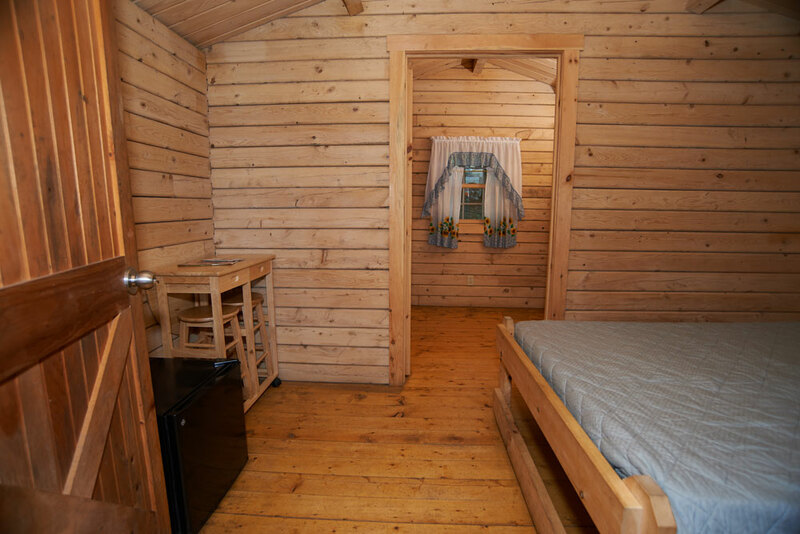 Premium Cabin Suites are rented by the week during July and August (you choose your arrival date), but can be rented for a 2-night minimum stay during our Spring and Fall seasons. Holiday rates/minimum stays apply. Premium Cabin Suites are NOT pet-friendly. 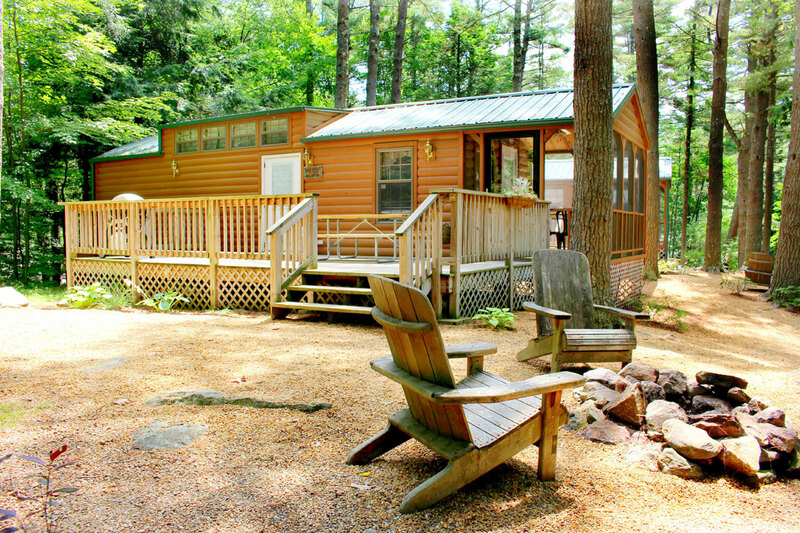 RVs and Cabins are rented weekly during our peak season. Please note: NO check-ins after 9:00PM. NO smoking inside the RVs or Cabins. Pets are ONLY allowed in our Pet-Friendly Rentals. 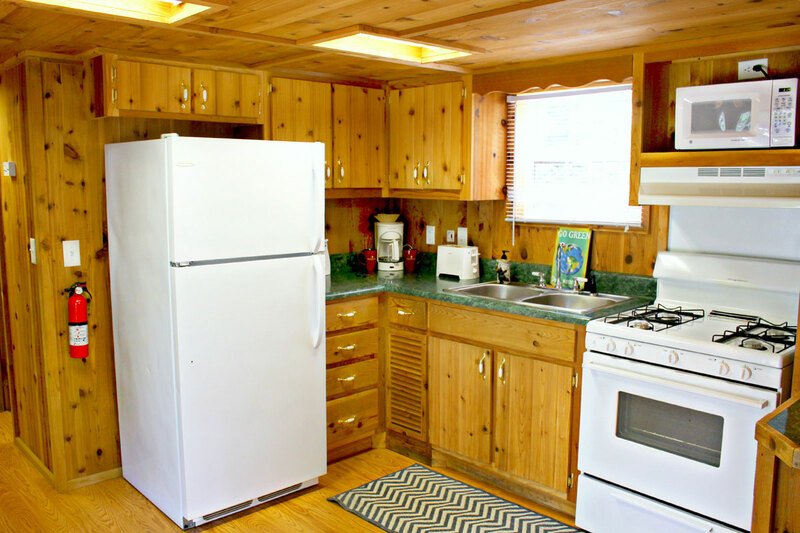 With the exception of the Rustic Cabins, all of our rental units come with cooking and eating utensils and a gas grill. There is no need to bring the propane for the grill, as this is provided by the Resort. The Rustic Cabins have a charcoal grill, but you will need to bring your own charcoal. You will need to bring linens, pillows, dish and hand soap, bath linens, towels for the pool area, toiletries, and groceries for all of the rental units. 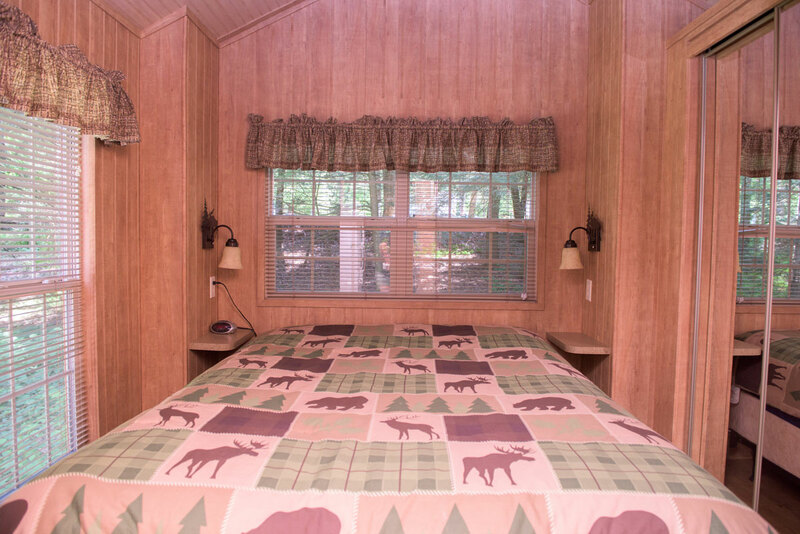 The Rustic Cabins need linens for a full size bed and two sets of twin bunks. 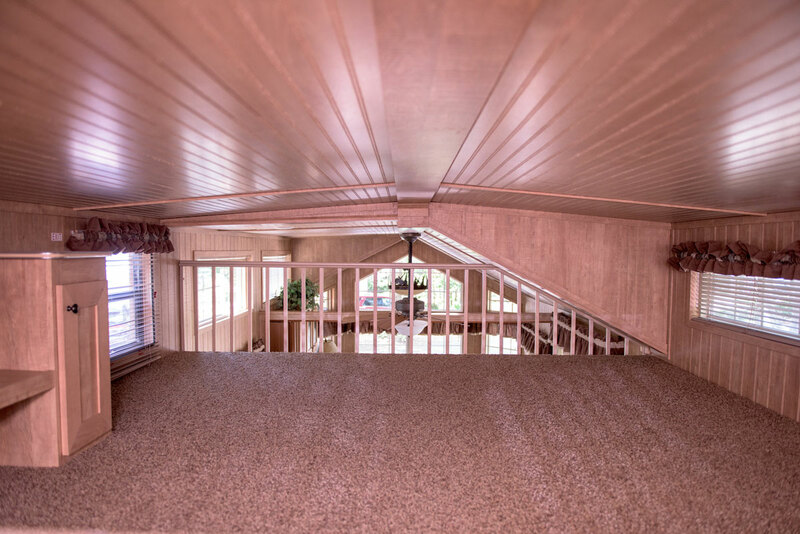 The Full Service Cabins need linens for a full size bed, a futon, and sleeping bags and/or air mattresses for the carpeted loft area. The Premium Cabins require the same linens as the Full Service Cabin, except the bed is a queen size. 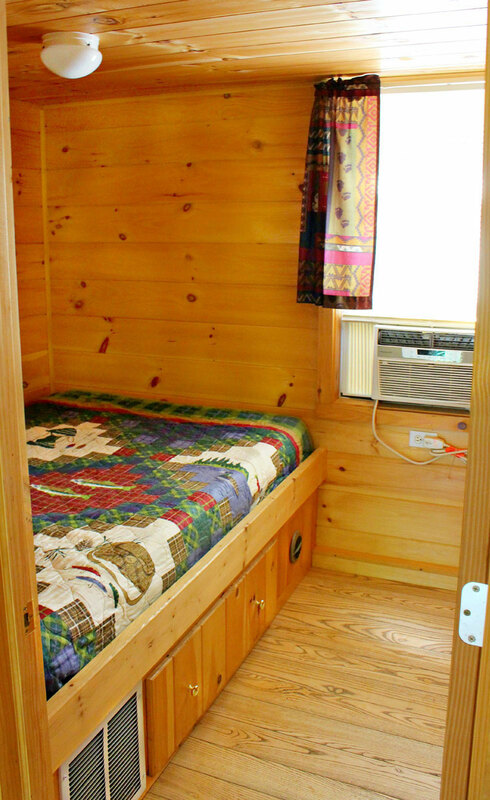 The RV rentals have a queen size bed and twins in the bunk house that require linens.